Front tires commonly bear most of the weight of the engine, and are responsible for all steering and 80% of braking. Right tires are more exposed to hazards like potholes and frequent turns. Climate, road surface quality, driving style, and misaligned wheels can also cause uneven wear. Regular wheel alignment ensures the angles of the wheels are perpendicular to the ground and parallel to each other. 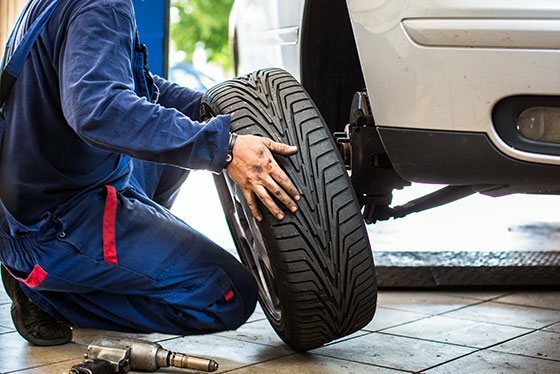 It is vital to maintaining the control and safety of your vehicle, as well as preventing irregular tire wear. A simple curb or pothole can cause your vehicle to be misaligned. 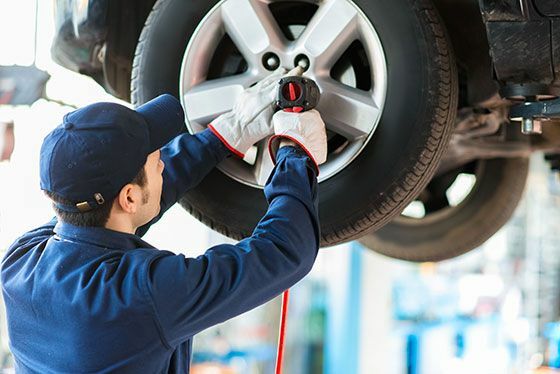 Improper alignment can cause uneven tire wear greatly reducing tire life.